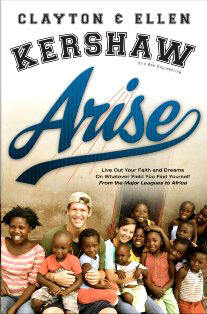 If you haven't yet, go check out the book written by Ellen and Clayton Kershaw, called Arise. You can find this book online or at a bookstore near you. In their book, Clayton and Ellen share the importance of living out your faith "in whatever field you find yourself." What an incredible thought, whether in Dallas, LA, Zambia, or wherever we may be, God is calling us to live out our faith through actions, to love Him, and to love His people.